Seriously, what is wrong with the PSPGo? 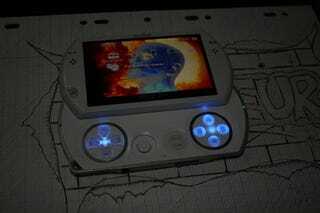 Is the handheld so ho-hum that people are purposefully modding it into awful things, or is it just a really hard device to work with? This latest entry attempts to camouflage the portable as some kind of Christmas decoration. The buttons glow, lights flash, yada yada yada you paid a $250 premium and then put a bunch of holes in it.